Maintaining a time-honored tradition, we're a little late with the December calendar, which we expect to have up tomorrow. So here's a heads-up that at 12:15 p.m., today, December 1st, in the Millennium Room of the Chicago Cultural Center, Friends of Downtown is sponsoring a talk by Stephen Monz on the life and work of architect Benjamin Marshall, whose work includes such buildings as the Drake and Blackstone hotels, and 1550 North State Parkway. 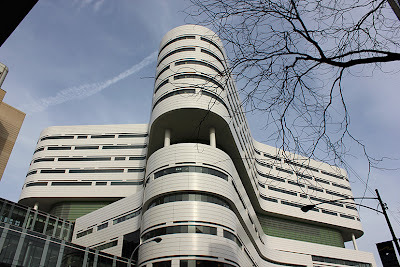 Thursday is also the day, 12:45 p.m., in the Council Chambers of City Hall, 121 N. LaSalle, for the monthly meeting of the Commission on Chicago Landmarks, which continues to be nowhere to be found in the battle to save Bertrand Goldberg's gravely endangered Prentice Hospital, but has an agenda item proposing landmark designation for the Art Deco DuSable High School at 49th and Wabash. 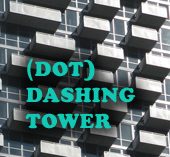 No landmarks report on the structure has been posted yet, but there's an informative piece on the building by Lee Bey here. 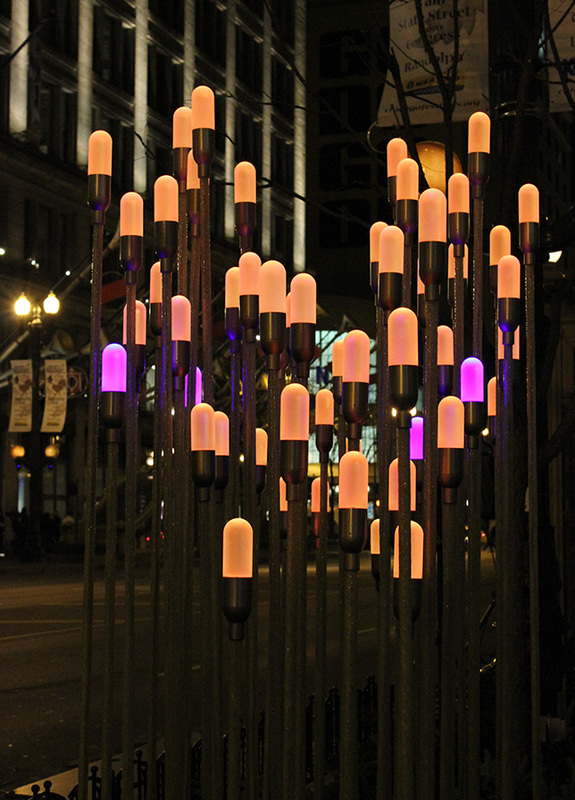 Yesterday afternoon, we received a note from the Chicago Loop Alliance's Ty Tabbing regarding my post on the new Lightscape installation on State Street, admirably restrained considering how rough I was on the project. Mr. Tabbing informs me that the listing I noticed in some of the "reeds" - the individual light poles - is actually intended to help withstand Chicago's winds - with today's 40mph gusts, they'll get a workout - and mimic the movement of Midwest prairie grass. 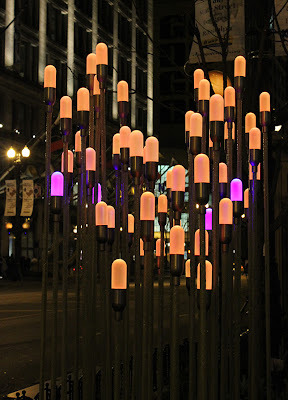 He also challenges my characterization of Lightscape as a "one-size-fits-all" solution with a reminder that it was designed specifically for the State Street site. It was not my intention to suggest otherwise, and if that was the impression I gave, I apologize. When I wrote "one-size-fits-all", it's referring not to the origin of its design, but to the generic nature of the project. Changing the color palette and music at different times of year doesn't disguise the fact the entire thing is numbingly uniform, to the point where I believe Lightscape will ultimately become as invisible as a street lamp, which by the way, actually have more varied decoration by replacing the globes with Jack O'Lanterns for Halloween, golden baubles for Christmas, etc. More importantly, Mr. Tabbing corrects what he says was a quote taken out of content in Crain's. While the decreasing vacancy rate on State has reduced the venues for display, Mr. Tabbing assures me - and I hope he won't mind me quoting him here - "Pop-Up galleries were, and will remain, an important strategy to bring art and artists into the Loop." And that's very good news. This is what a million dollars looks like today . . . 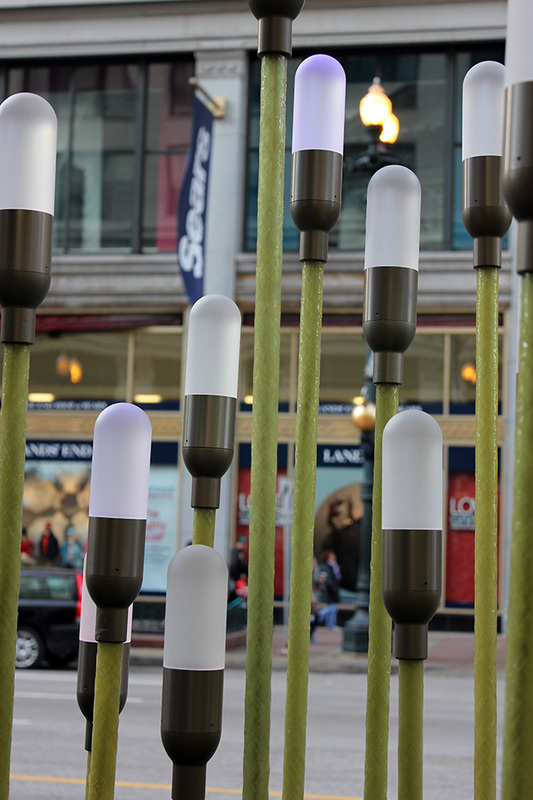 The fad of the cactus lamp died out decades ago, but it lives on in Lightscape, a series of a dozen clusters of 9-foot-tall "prairie grass" lights that has just been unveiled down State Street that, according a report in Crain's Chicago Business, cost a cool $1 million. 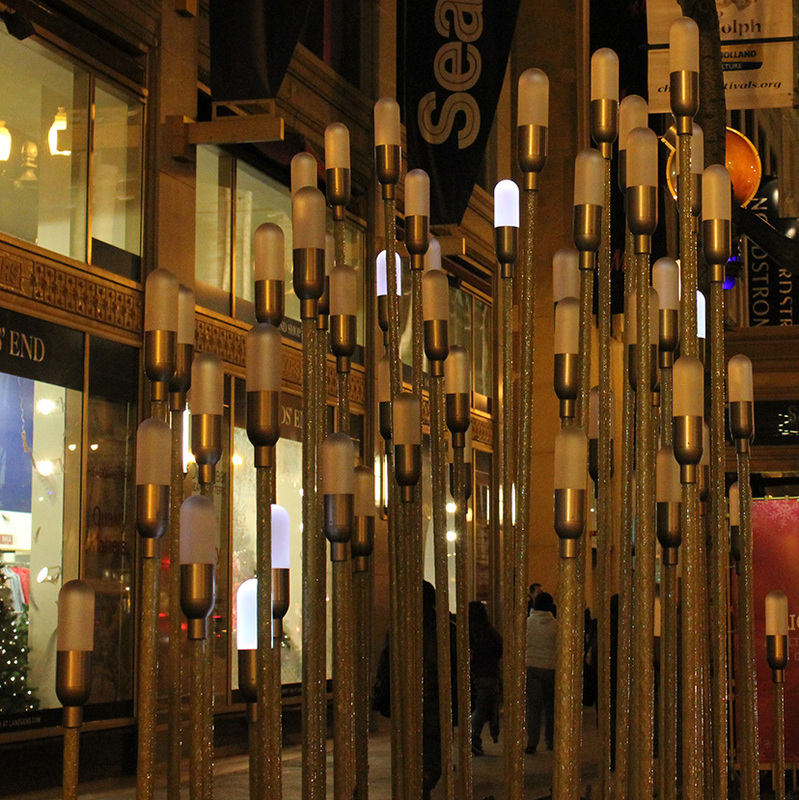 It replaces the traditional holiday lighting on the street, for which Crain's quotes the Chicago Loop Alliance as saying cost about $120,000 a year. Only 9 years to breakeven. They were paid for by assessments on State Street retailers, in largest part by allocating the next five years of the former holiday light funds to Lightscape. They're using new energy-efficient LED lamps from OSRAM Sylvania, cutting electrical costs, and sharply curtailing labor expense, 'cause they're never going to be taken down. 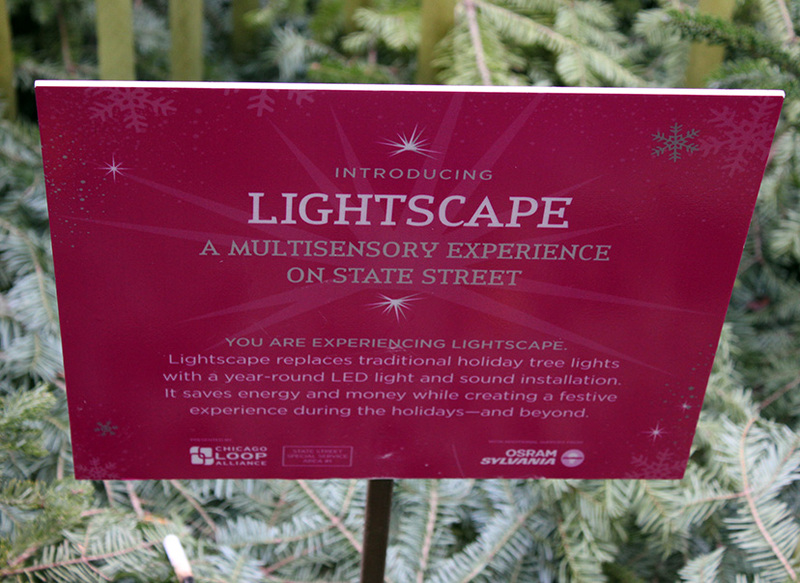 They're up year round, "changing" with the seasons and for special events. There's also supposed to be embedded speakers for "special announcements" and syncing the light show with musical selections, although during the two days I scoped out Lightscape, if there was any sound being produced it must have been in the range only dogs can hear. 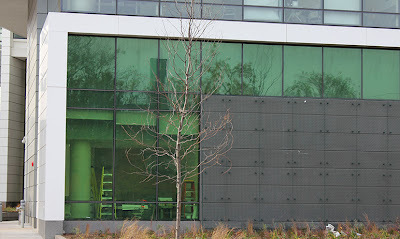 The project reeks of the usual greenwashing (we're saving thousands of dollars in electricity, and it only cost a million!) and hype, from the self-congratulatory claim that now they won't have to just throw away all the lights each year (as if the whole point of the exercise wasn't to encourage shoppers to buy tons of stuff they'll hopefully mostly throw away by next year so they'll have to do it all over again), to descriptions of the anemic displays as "setting the Loop ablaze." 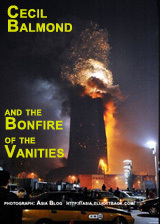 Well, the second coming of the Great Chicago Fire, Lightscape ain't. Instead, it's just another flavorless homogenization of a once great shopping street. The faux-glitter of the poles look cheap, and a number of them already look to be listing away from plumb. A lot of time watching the clusters at the end of last week consisted of waiting for them just to light up, then seeing one or two lamps slowly come to life, and then colors that appeared to have nothing to do with the traditional green and red of the holiday, but instead completely generic whites, yellows, oranges and purples. And then back to a long waiting period of nothing being lit at all. Some of this, I'd like to think, is just a matter of early performance jitters. Soon, it's hoped, the music will start to play, and it won't sound like it's coming from a $2.00 boom box. Soon, the co-ordination between the music and lights will start to take hold, creating patterns that are interesting rather than just erratic. And the selection of colors will actually have some relationship to the holiday they're supposed to be celebrating. 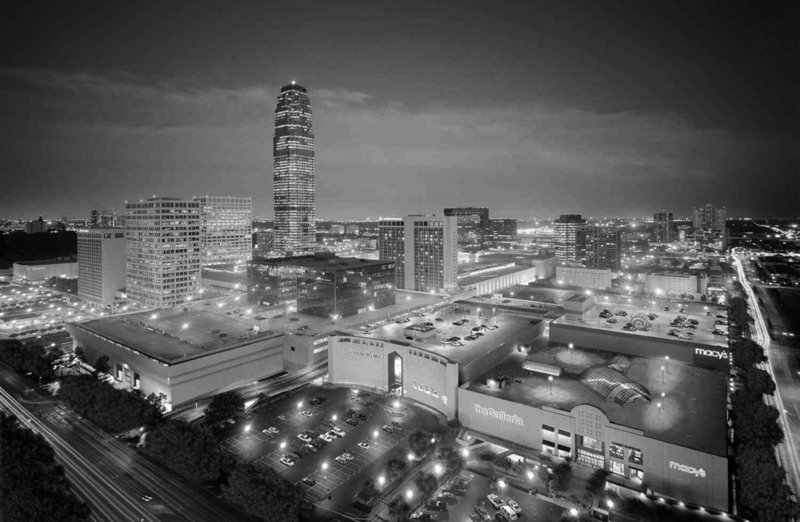 Even if all this comes to pass, however, the bottom line is this: Lightscape is a lightweight - a supply-chain, one-size-fits-all solution for a shopping district that desperately needs a distinctive identity. 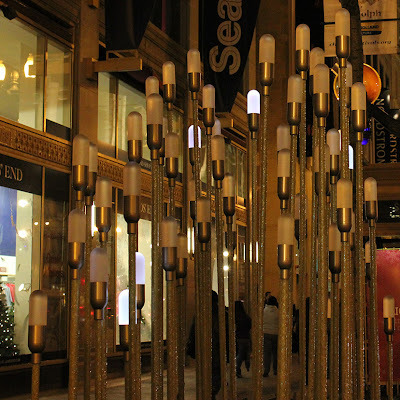 Again according to Crain's, funding for Lightscape not only has killed off traditional holiday decorations, but it's also resulting in pulling the plug on the work of real, distinctive artists who exhibited in the "pop-up" art galleries in empty State Street storefronts. Loop Alliance director Ty Tabing told Crain's they're no longer necessary. He may wind up being the only guy actually blinded by Lightscape's dim light. 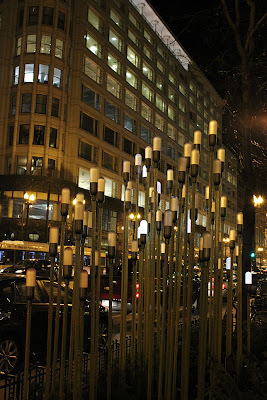 Follow-up: Ty Tabbing of the Chicago Loop Alliance has written to tell me that "reeds" - the individual light poles - are actually designed to sway as a way of dealing with Chicago's high winds, and also that the Pop-up Gallery program, despite a reduction in venues due to decreased vacancies along State, is still very much alive. The large crowd assembled for the event enjoyed the joyful singing of the Wooten Choral Ensemble, while the lions on the Peoples Gas Building looked down on the scene with the usual mixed emotions of envy and hurt feelings. 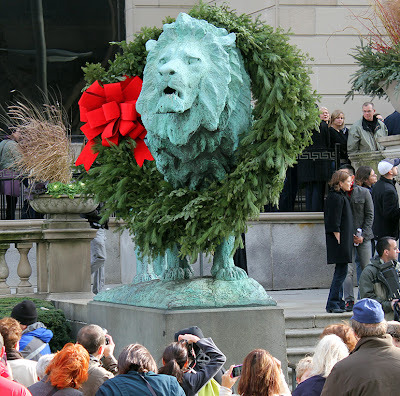 This was the scene at Daley Plaza late Wednesday afternoon, as mayor Rahm Emanuel and ABC7's Val Warner and Mike Caplan lit Chicago's official 2011 Christmas Tree. A 55-foot-tall Colorado spruce brought in from the Spangler home in Western Springs, where it was threatening the foundations, it's s all of a piece. It wasn't always so. 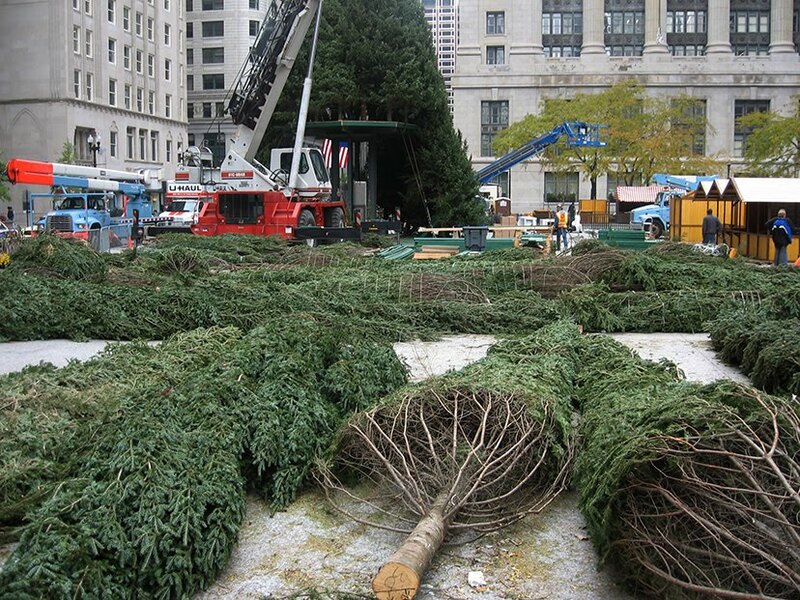 Not that long ago, the Daley Center Chistmas tree soared over a hundred feet tall, a construction project of over a hundred individual trees carefully stitched together to appear as one. Check out our photo essay from 2007, It's the Great Chicago Christmas Tree (Some Assembly Required). 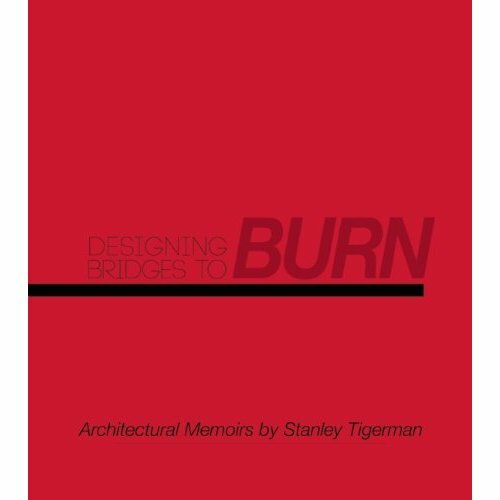 In his new memoirs, Designing Buildings to Burn, Stanley Tigerman writes of an encounter between Buckminster Fuller and Chicago architect Charles Murphy, Jr., regarding the rough-hewn skyscraper now known as the Daley Center. Fascinated by the long-span high-rise structure that had been designed by Jacques Brownson of the Murphy organization, Fuller asked Murphy not what the building cost per square foot, but what it weighed per square foot. Murphy's puzzled expression told the story; he had never perceived a building in those terms, whereas Fuller, not trying to put down Murphy, merely wanted to ascertain the building's value so that he could measure it against other structures built in a like fashion. 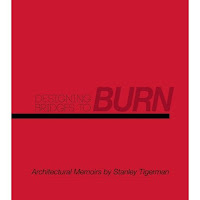 Tigerman adds that Fuller's question was decades ahead of its time, but not much later Fuller was asking a variation of the same question of Norman Foster, and although the British architect was also taken aback, his reaction was quite different. 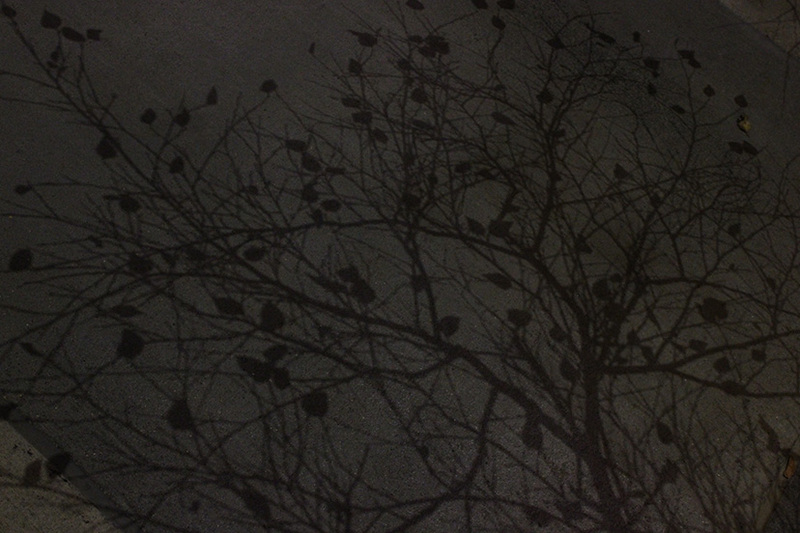 He was completely intrigued by Fuller's investigation of minimizing structure and "working with nature". 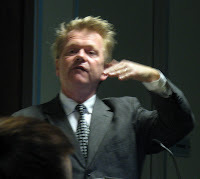 Not only did those questions become hallmarks of his work, but Foster also entered into a working relationship with Fuller that ending only with Fuller's death in 1983. Last year, Foster paid tribute to Fuller by recreating his pathbreaking 1933 Dymaxion car. Fuller's irreverent and probing question has now become the title of a documentary, How Much Does Your Building Weigh, Mr. Foster?, that's coming back to the Gene Siskel Film Center, 164 North State, for two encore showings, Sunday, November 27th at 3:15 p.m., and Wednesday, November 30th at 6:15 p.m. More information here. 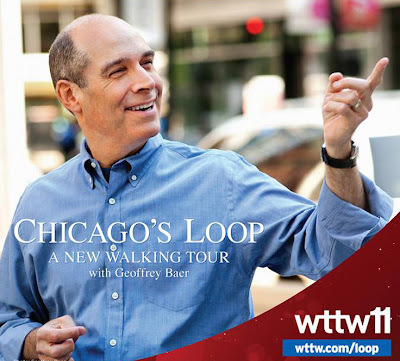 Also on the documentary front, on November 29th at 7:30 p.m., WTTW will be offering up the premier of Chicago's Loop: A New Walking Tour with Geoffrey Baer, including the story of how Bruce Graham illustrated the design for Sears (Willis) Tower as he "picked up a fistful of cigarettes and extended some of them from his hand in a staggered profile" (Fazlur Khan didn't smoke). There'll be a number of repeat showings throughout early December. More information, and a trailer, here. So, yeah, we've kind of dropped out for the moment, and the world doesn't seem any worse for wear. Posts will be few through the holiday, as we deal with cats that won't eat, crumbling teeth, and Siri waking up my iPhone to make sarcastic remarks about the way I've dressed myself for the day. We will, however, reopen for Black Friday at 9:45 p.m. Thanksgiving evening (take that, Wal-Mart!) and if you want to get a head start and out of the chill, doors to the cramped vestibule next to the dumpsters open at 6:00, with free hot coffee, strolling Mariachis, and a phalanx of really angry turkeys with some factory farm pictures they want to share with you. It's a long way from here . . . 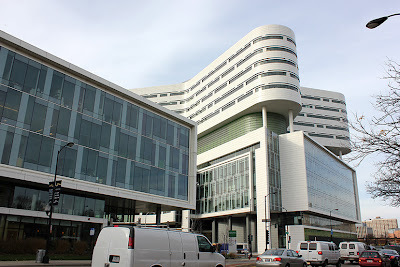 The countdown is on towards the scheduled January 9, 2012 opening of Rush-Presbyterian's new 806,000-square-foot, 14-story, billion dollar East Tower, designed by Perkins+Will, the hospital's first major new facility in 25 years, with over 300 beds. 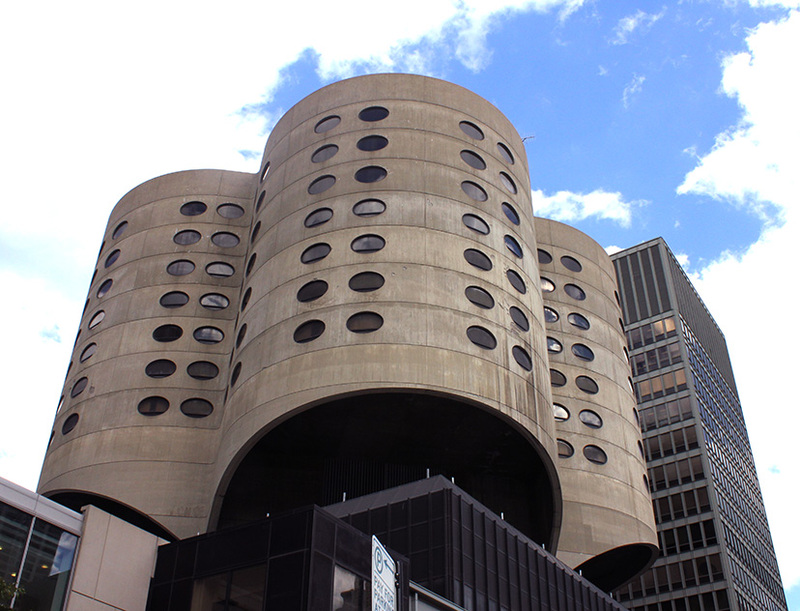 The top five floors, in a stretched cloverleaf reminiscent of the design of Bertrand Goldberg's threatened Prentice Hospital, is for acute and critical care. Each single-patient room is identical, with discrete areas for patient, caregivers, and visitors, and including a sleeper sofa, Wi-Fi, 42-inch flat panel, and large windows with spectacular views. The columns of the 3-story high entry pavilion are wired for oxygen, so the space can be converted into a treatment center with temporary beds in case of a catastrophic epidemic or bio terrorism event. 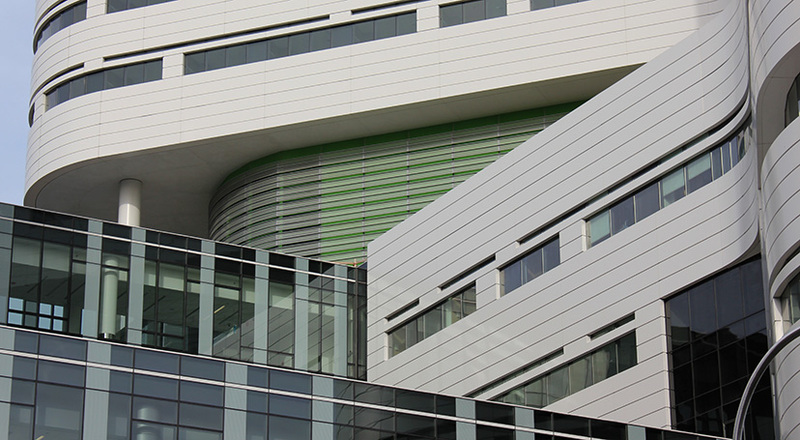 On Saturday, December 10th of this year, the hospital will be offering one hour preview tours of the new facility. Registration required. Info here. The hospital's website is also offering an interactive tour. 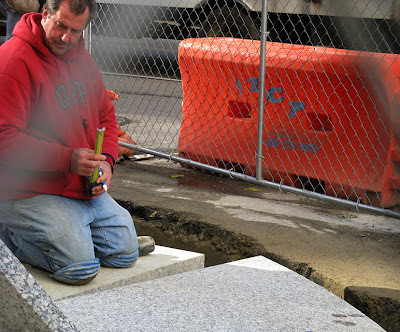 The clock is ticking on Daley Bicentennial Plaza. 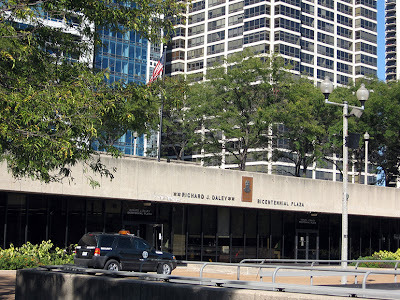 The approximately 20 acre rectangle east of Millennium Park and south of Randolph is about to be destroyed and rebuilt, an action made necessary by the need to replace the deteriorating waterproofing membrane that seals off the huge parking garage below. 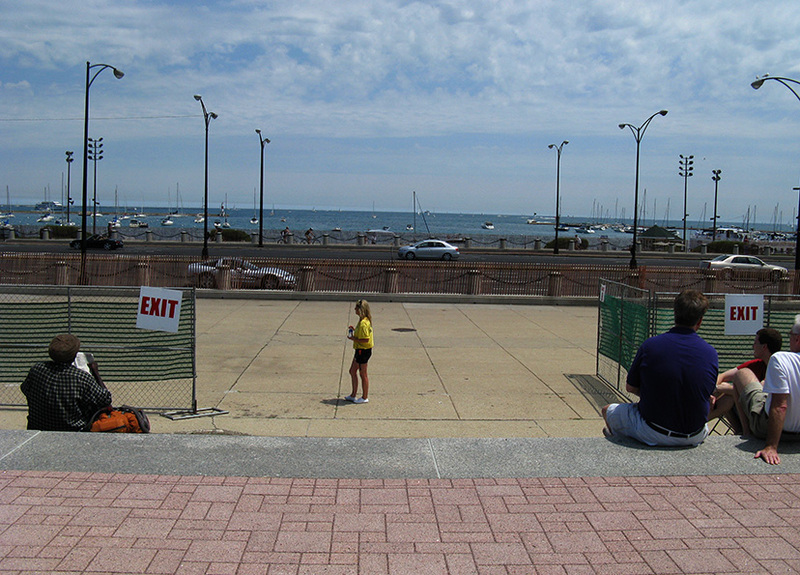 According to Chicago Park District Director of Planning and Development Gia Biagi, "fences go up at the end of summer of 2012 . . . 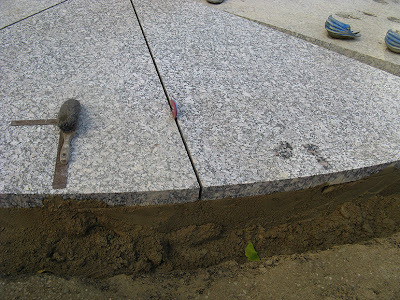 The current goal is finish the work in two years, and have the the new park open for summer of 2015." Biagi spoke at an October 26th public forum where a clear picture of the design of the new park, while far from finalized, began to clearly emerge. 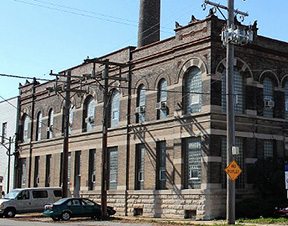 The first major change was that the scope of the project is now confined to the area of Daley Bi. 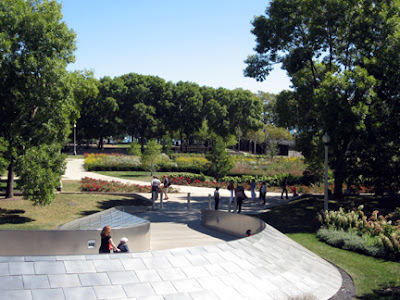 The Cancer Survivors Garden stays, as does the "Peanut Park" between that garden and Lake Shore Drive, although it stands to be commandeered as a staging area during the period of construction. Also confirmed by Biagi: "My notes say, 'what's going on with the Children's Museum?' Well, they're not coming to Grant Park," a remark that evoked loud approval from the audience. "I didn't intend it to be an applause line," said Biagi, "but . 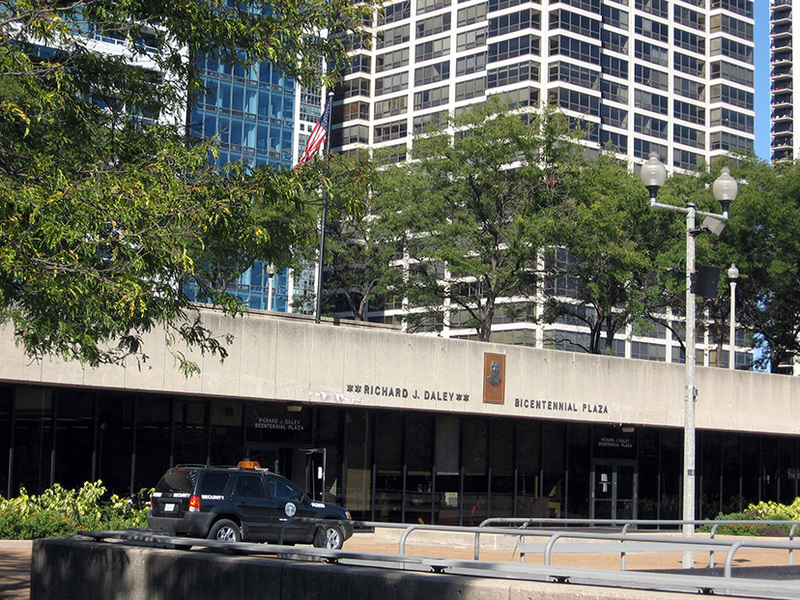 . . "
The current Daley Bicentennial Plaza fieldhouse is also staying. 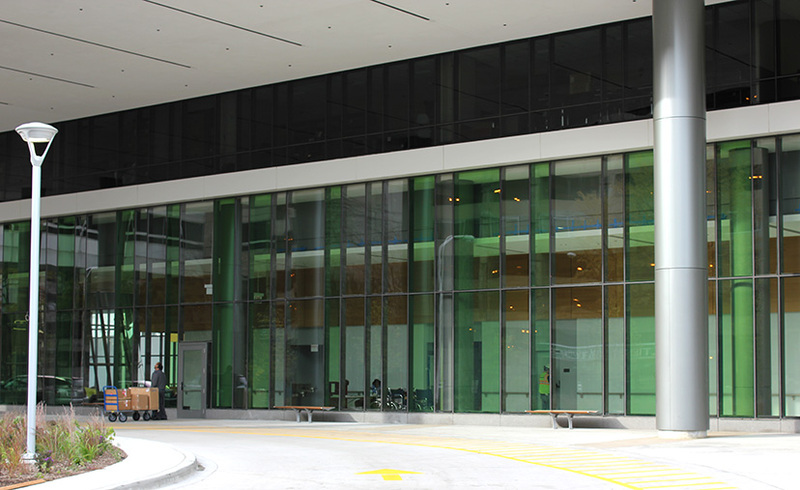 The Chicago Children's Museum had proclaimed - risibly, considering their almost complete ineptness in fundraising - they would simply throw in a new $20 million fieldhouse as part of a deal to let them construct a new subterranean museum in Daley Bi. The Museum pulled the plug on that fantasy early in the battle, and sights are now being lowered. 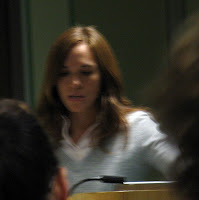 "We're not talking about anything major," said Biaggi. 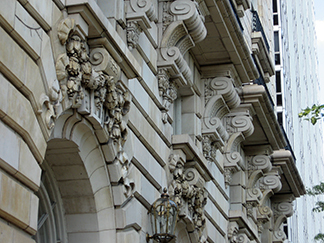 "We need to stop the bigger problems of leaking and make the building a little more operable. We are interested in looking at the facade of the building, too, in a way that it would relate better to the park and the design ideas we have here. So it's a pretty light touch on the building aside from the major it's got to stop leaking, it's got to be functional and that's something we're going to see if we can fit it into our larger capital improvement program to try and fund that project." Biagi said that for rebuilding the 20 acres of Daley Bi, "We have a little over $30 million to do this project. That money comes from the revenue from the transfer of the parking garage to the city and then on to private vendor of the garage. 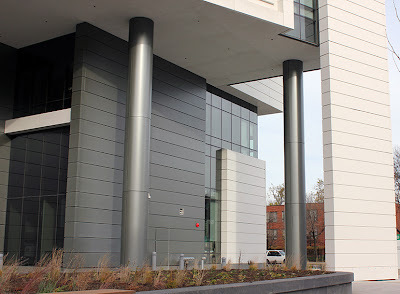 Part of that exchange included a set aside of about $35 million for this project . . . It started at 35 and then with design fees and a couple other things we're just a little over 30. in terms of what we have available to build a park." Biagi didn't out rule lining up corporate sponsors to help defray costs. 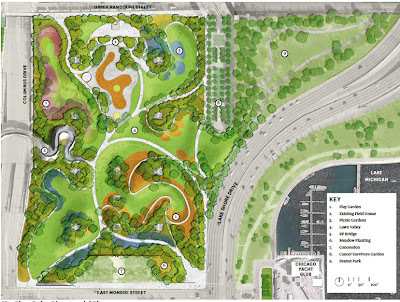 Landscape architect Michael van Valkenburgh presented the latest iteration of the park design. Presently, Daley Bicentennial is an extension of the formal composition of the larger Grant Park. North Grant Park, as the reincarnation of Daley Bi is being called, will be something completely different. 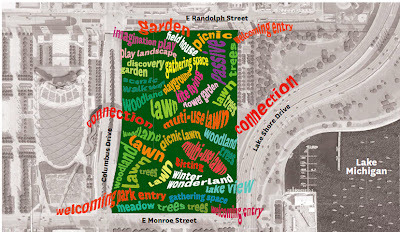 As you can see from the illustration at the top of this post, the goal is to create a park filled with varied program that strikes a balance between the passive and the active. 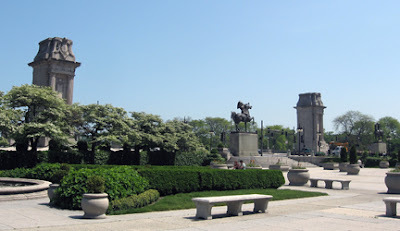 In survey feedback from the public, over 50% rated providing space for special events as "Not important", while over 70% rated both providing "Space for Quiet, Relaxation, and Repose" and "Retain and improve views of Grant Park, the city, and the Lake" as "Very Important"
"Most people", said Van Valkenburgh, "were very appreciative and laudatory about Millennium Park, but the main thing they said was we don't need to repeat the things that Millennium gives us. 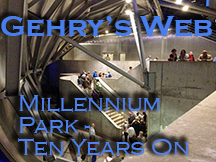 We want things to complement, so we're using Millennium and go over the Gehry bridge and want other things to do over there. We heard that in the public meetings and the questionnaires definitely back up this notion of more passive things to do, and things you don't have to spend money on." So the current design is a combination of passive and active spaces, of built-up landforms that reduce noise and wind in the interior of the park while providing expanded views of larger Grant Park and the lakefront. "We all go there to see things," said Van Valkenburgh. "We like to feel the space. 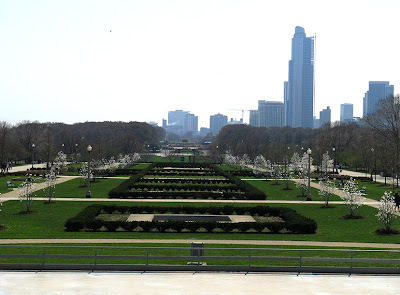 We like a lot of borrowed landscape, especially Grant Park to the south, and the lake to east, and so getting people up on higher ground where they can look out and borrow that visual landscape is an extremely important thing . . . making hills - not crazy-high hills, but a kind of rolling topography." Balancing this complexity is a "visual sense of welcome," said van Valkenburgh. 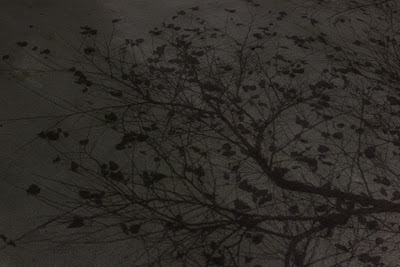 "You want to see deeply into the park. You don't want it to be too mysterious at the corners. You want to know what's up ahead as a major part of making an urban park welcoming." 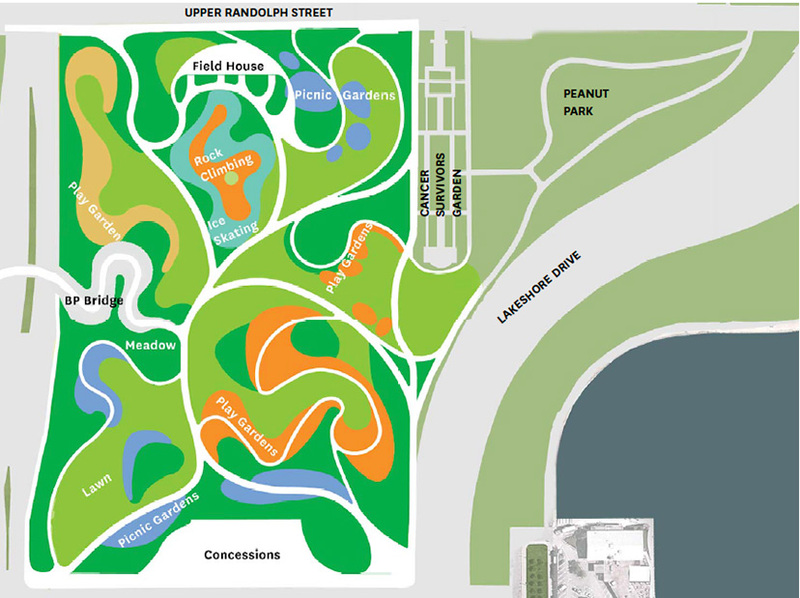 The park designs includes both a "passive axis", from sw to ne, emphasizing natural landscape and a boundless sense of space, and an "active axis", from se to nw, encompassing more urban and civic aspects. "Rock climbing as a possibility," said van Valkenburgh. 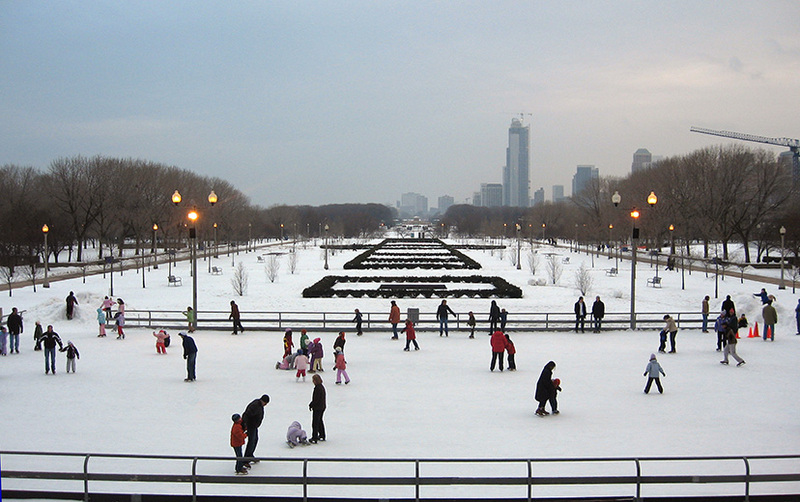 "We also liked the idea of a temporary ice rink in that area. The problem with skating, of course, is what is it in the summer? We didn't want to have a big water area, so we liked this idea of a skating ribbon which goes away in the summer. It just becomes a path that you walk on. Instead of a rink that you go around in, this is more of a meander. Potentially that could be an area where we include the outdoor cafe [in the summer]." Van Valkenburg is also looking to include in North Grant Park, the "very best playgrounds that any park in America has for kids, and that doesn't mean that we won't use any traditional playground equipment. There are some things that are universal. I don't know any kids who don't like swings, but it can't only be swings and slides and things like that." 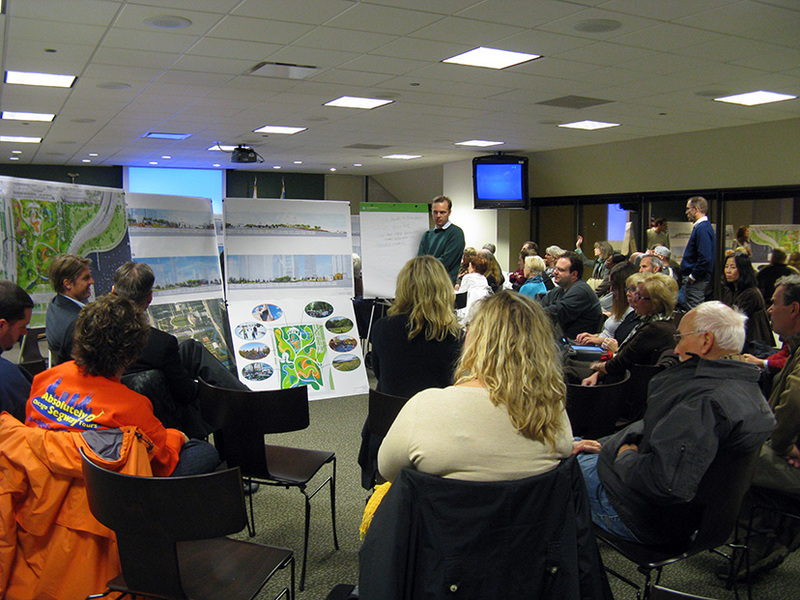 After the presentation, the assembly broke up into three groups to ask questions and offer feedback on the plan. What about the tennis courts? Will the paths be wide enough to accommodate bikes? Will parents be able to watch their kids easily? There was no shortage of opinions and concerns, not infrequently in conflict. When former Mayor Richard M. Daley talked of Daley Bi as being a "nowhere", he was indulging himself in the kind of willful, malicious ignorance that became a hallmark of his last years in office. Make no mistake: Daley Bi is a wonderful, calm counterpoint to the hyper-activity of Millennium Park. That wasn't a failing. That was a virtue. But while there's still a long way to go, and a lot of opportunities for things to go wrong, Van Valkenburgh's redesign holds out the promise of building on that quality to create a new North Grant Park that's every bit as remarkable in its own way as Millennium Park. 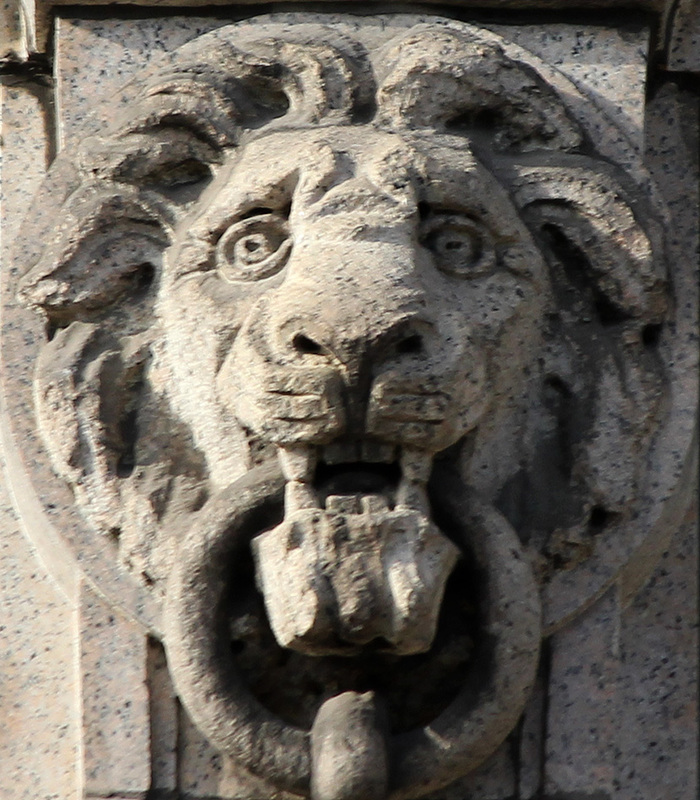 You can check out the entire October 26th presentation for yourself, in the "albums" section of the North Grant Park website, here. 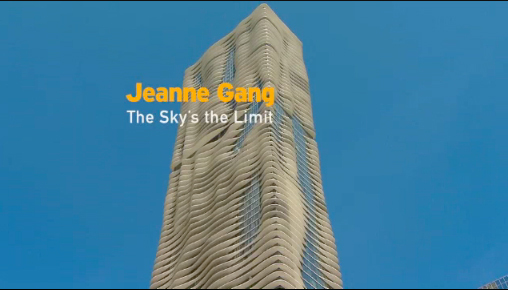 We wrote on Friday about the new documentary, Jeanne Gang: The Sky's the Limit, and now we've learned of another chance to catch this striking, 14 minute production. Chicago Tonight on WTTW will be screening it on this Monday's edition - the current estimate for the segment is sometime after 7:30 p.m., but you may want to check in at the beginning of the program at 7:00 p.m. to be sure. And, amazingly enough, we also have a entire slew (or "slaugh" for our Gaelic speaking readers) of new additions to this month's calendar. 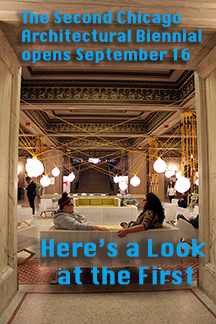 I'm too lazy to provide all the links here, but you can get the full details on everything on the November Calendar of Chicago Architectural events. On Monday, the 14th, Urban Activators opens a new exhibition taken by young people who were taught photography techniques and sent out to document their Bronzeville neighborhood. On Wednesday, the 16th, there'll be a networking event and panel on Biomimicry: Designing from Nature's Innovations at the Jefferson Tap & Grill, while on Thursday the 17th over at the Graham, artist Karthik Pandian will be presenting Late Culture in the American Bottom, reflecting on his 16mm films and sculptural exhibitions produced out of his research at the pre-Columbian Cahokia Mounds in southern Illinois. On Monday, November 21st, at the Revolution Brewery, Preservation Chicago will be holding a fundraiser to help save the 1899 Brand Brewing Administration building. On Tuesday the 29th, the UIC School of Architecture's Judith DeJong will be discussing New (Sub)Urbanisms at the Great Cities Institute. Believe it or not, halfway into the month, there are still over 30 great events still come, including two dozen just this week, with Stanley Tigerman, Roger Sherman, Ezio Manzini and The Lost Panoramas at separate events on Monday, Tom Jacobs of Krueck + Sexton discussing their new Net Zero Office Building in Florida at the CCGT on Tuesday, Terry Tatum talking about Irving Pond at the Glessner on Wednesday. 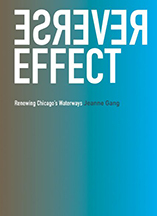 On Thursday, Dennis McClendon lecturing on Chicago's Moveable Bridges at the Chicago Cultural Center for Landmarks Illinois, while Jeanne Gang discusses her new book on the Chicago River, Reverse Effect, with Henry Henderson of the Natural Resources Defense Council at the Harold Washington Library. 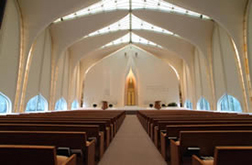 This afternoon (Sunday), there's a discussion of Islamic Architecture by Ellen Bailey Dickson at the Glenview Ismaili Jamatkhana, and a lecture by Dale Gyure on the work of architect Minoru Yamasaki at the North Shore Congregation Israel. So little time, so much to do. Check out the November Calendar of Chicago Architectural Events. If look at the WTTW schedule for tonight, you wouldn't even know that it's there, but somewhere after the conclusion of tonight's 9:00 p.m. showing of American Masters, Bill T. Jones A Good Man (the current estimate is around 10:30 p.m.) they'll be screening Jeanne Gang: The Sky's the Limit - a new documentary produced by Dan Andries, shot and edited by Tim Boyd. It may be short - under 14 minutes - but it's far from filler. 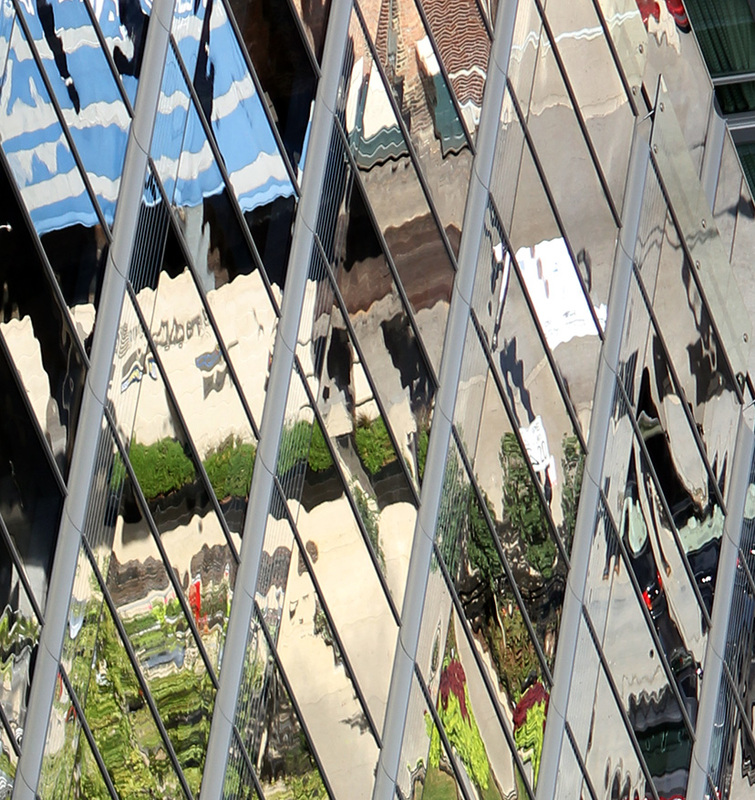 For talking heads, there's Blair Kamin, Stanley Tigerman describing the rise of the Chicago skyscraper from the Great Fire to Mies to Gang, Redmoon Theater's Jim Lasko, and - apologies in advance - me. 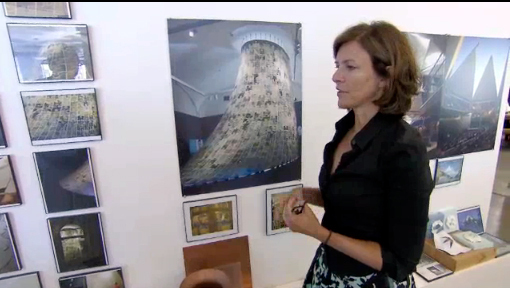 Most importantly, there's lots of Jeanne Gang, herself, discussing her work and thought, and seen in action at Studio/Gang's Bucktown offices. Boyd's photography is sharp and expressive, and the production covers a lot of ground without feeling rushed. If you're not one for sleeping, the combo of documentaries is scheduled to be repeated on WTTW at 12:00 a.m., Monday Morning, November 14th. Or you could just watch Jeanne Gang: The Sky's the Limit on-line here. "He was still was wanting us to repeat Aqua, right?" "He was wanting something Aqua-esque, yes." 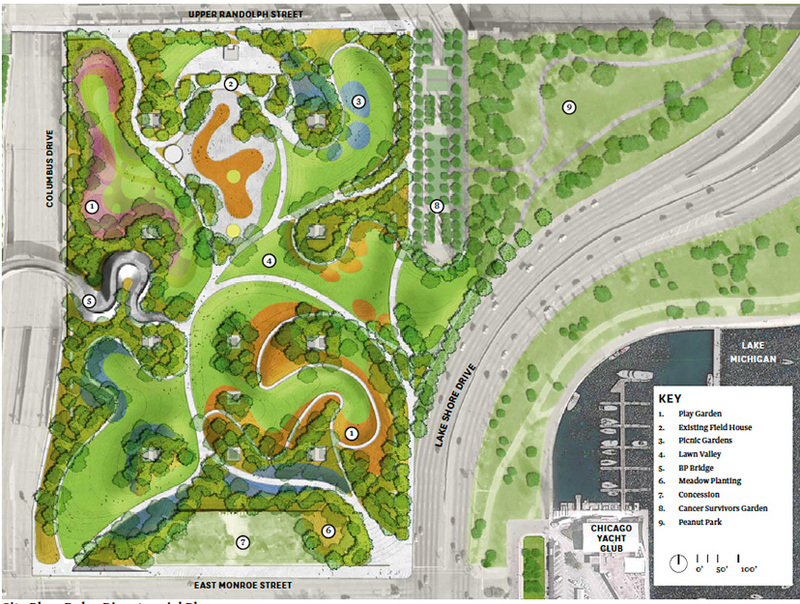 The news about Grant Park just keeps getting better and better. 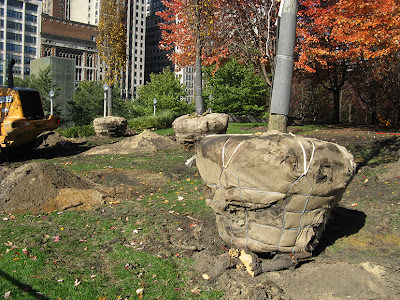 The Children's Museum plot to jam their bunker of a building into the park is dead. 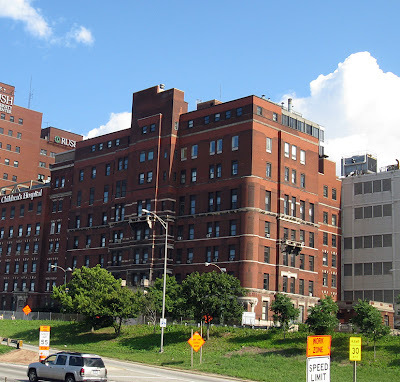 There's a great new plan for the Daley Bi rehab emerging from Michael van Valkenburgh. 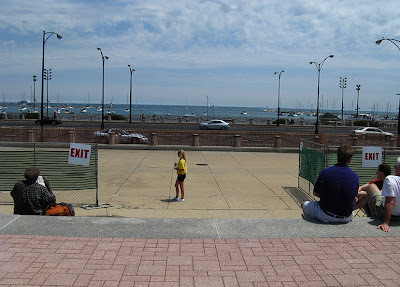 And in today's Chicago Tribune, Jon Hilkevitch is reporting that the city is in the process of reversing the 2005 shutdown of the crosswalk at Queen's Crossing that turned the route from Buckingham Fountain to the lakefront promenade a complete dead end. According to Hilkevitch, the new stoplight will be activated only when pedestrians push a button, and it will include a countdown clock to keep them from getting stranded halfway across the drive. 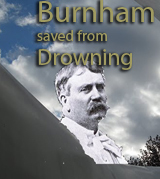 The reopening of the crossing unsevers what should be one of Chicago's great promenades - an echo of the 1909 Burnham Plan - down Congress Parkway, between the Bowman and Spearman gateway, to Buckingham Fountain, and to Lake Michigan, itself. Elsewhere, we've added two more events to the November Calendar of Chicago Architectural Events, both revolving around the publication of The Lost Panoramas: When Chicago Changed its River and the Land Beyond, which includes 150 never-before-published photographs from a stash of over 20,000 glass plate negatives taken in 1894 to document the mega-project that reversed the flow of the Chicago River. 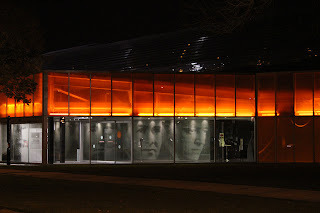 On Monday, the 14th, the authors will be at the DePaul Art Museum, and on Thursday, November 17th, at the Peggy Notebaert Nature Museum an event marking the re-opening of the exhibition showcasing a number of the images blown up to a size where you can really appreciate the scale of the project and of the Chicago of that era. Meanwhile, architect and IIT professor John Ronan has set out an email seeking candidates to succeed the School of Architecture's Donna Robertson, who has resigned effective at the end of the Spring 2012. semester after 15 years as Dean. Robertson's tenure included the first major construction on the Mies van der Rohe designed campus in decades, bringing it into the 21st century with the addition of Helmut Jahn's State Street Village, and Rem Koolhaas's McCormick Tribune Campus Center, and keeping the faith with the restoration of Mies's iconic Crown Hall . . .
. . . the College of Architecture has launched a search for our new Dean. IIT’s College of Architecture is at a critical point in its history and the new Dean will have the opportunity to lead the school in an exciting new chapter. 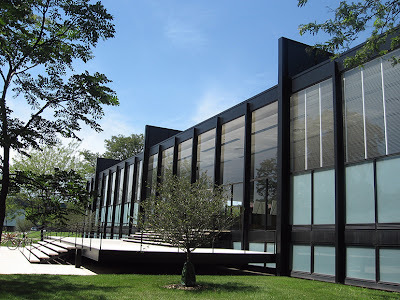 Through its deep commitment to a rigorous architectural education and its historic contributions to the legacy of modernism, the IIT College of Architecture enjoys an unparalleled international reputation. The College is one of the largest and most international architecture schools in the United States, with over 800 students from fifty countries and more than 100 full and part-time faculty members. With a pedagogy based in the synthesis of practice and research, IIT offers B.Arch., M.Arch., M.S., and Ph.D. degrees in architecture, as well as a recently accredited M.L.A. degree . . .
. . . The new Dean of IIT’s College of Architecture will have the opportunity to set the next vision for the school. 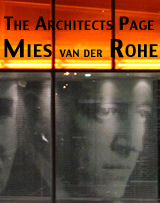 The Dean is the chief academic and executive officer of the College of Architecture and is responsible for all matters related to the management of the College. 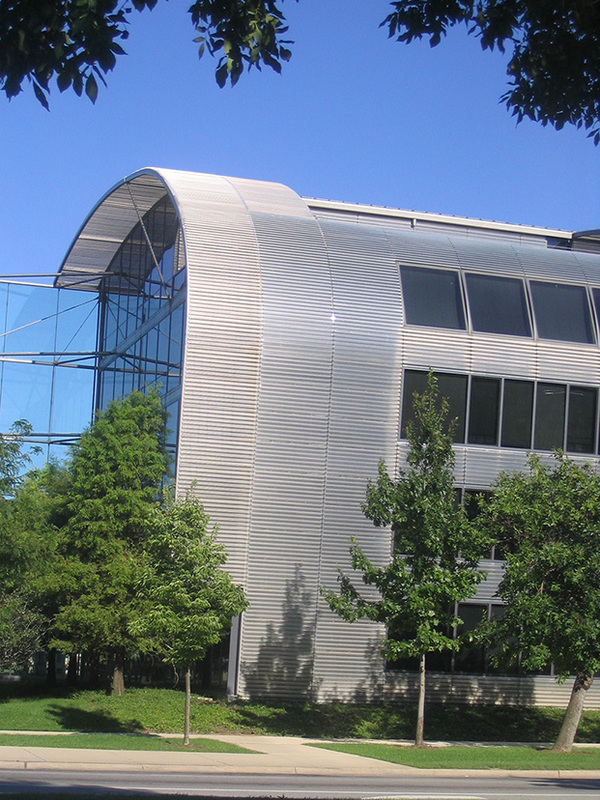 In response to the College’s recent growth in students and faculty, the Dean will have an opportunity to oversee both administrative reorganization and the expansion of the tenure-track and tenured faculty. 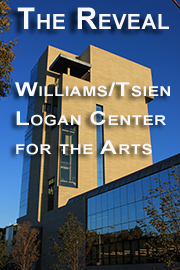 We are seeking an architectural educator of the highest quality, with a deep understanding of architectural practice and its needs, with an internationally recognized body of experience in practice, research, and/or scholarship. The Dean will have a clear vision for leading the school to greater excellence by building on the existing strengths of the College and by thoughtfully expanding into new areas of education and research . . .